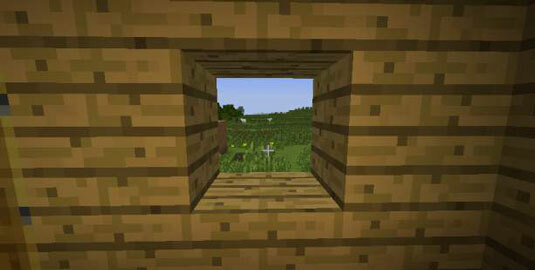 If you’re using glass for windows in your Minecraft build, make sure to place the windows where they will get light. For example, if you place the window too low, it will be difficult for the window to let light in. It’s not that it won’t get any light, but it won’t get as much light as if you were to place it higher. How large do you want the window to be? Will it be an entire wall? Or will it be narrow and tall or wide and short? This question is extremely important because it not only helps you plan out your building, but also helps you calculate the amount of materials you need to complete the build. Do you want the window to resemble something, such as a tree or a specific shape? Stained glass is the easiest way to create a specific design with glass. Do you want the window to face a specific direction? For example, do you want to be able to see the sun rise, or would you prefer to see the sun set? Is there a particular feature you want to see (such as a farm or a garden)? If so, put that in the plan. You make a large window the same way you make a small window. The only difference is how many blocks you break to make room for the glass. If you’re building a big window as you build your structure, you’ll just need more glass blocks or panes than you would for smaller windows. When you want to add a window to your building, you need to make the glass, build a place for the window (knock out part of the wall), and then place the glass in the wall. A good height to place a window is at eye level — 2 blocks high, in other words. Smelt as many glass blocks or panes as you need for your window. Take the glass to where you want to have the window and keep them in the inventory. Break as many wall blocks as you need for your window. To break a block, click on it and hold until it breaks. Place (right click) the glass in the holes in the wall. We suggest making windows at least 2 blocks wide so that you have enough light. How does your new window look? Not bad for your first one, right? With one window under your belt, you can now make and add as many as you want. Try making an even bigger window the next time or maybe a stained glass window.